We punctuate the milestones in our lives with celebratory events; inviting friends and family to share in our happiness and successes in what is often some of the most memorable moments of our lives. Regardless of if you’re the reason for the celebration or if you’ve been invited to share in someone else’s, we all envision an event that transcends the ordinary. 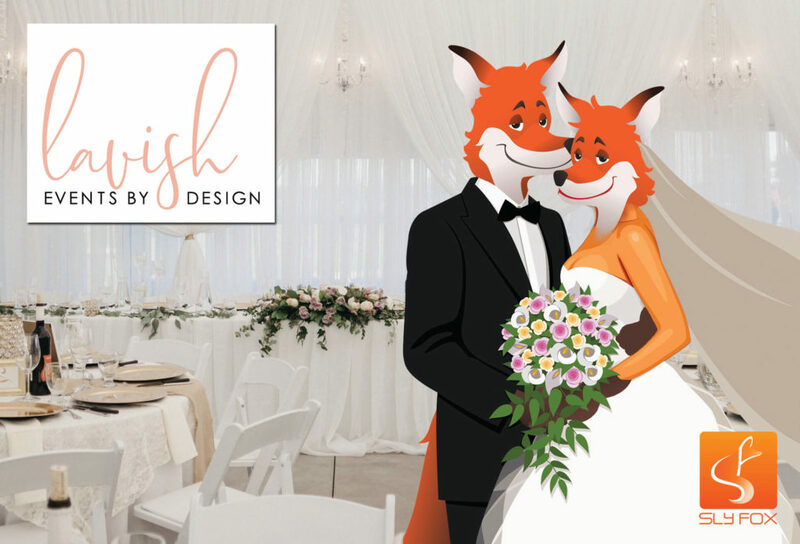 #SmallBusinessThatRocks Lavish Events by Design is London’s premiere wedding and event decorating experts, specializing in infusing magic into any event. 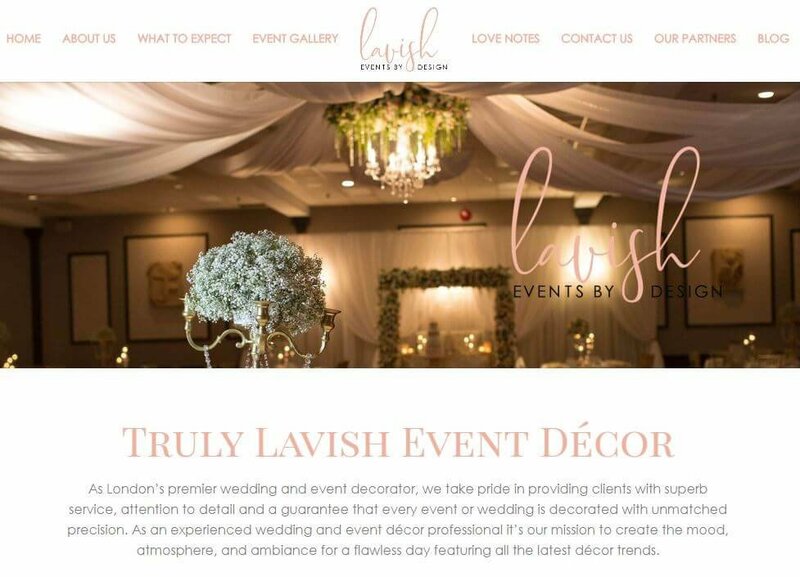 Founded in 2013 by principal design and creative director, Elena Rutkevich, Lavish Events by Design has been working with individuals, couples, families, and organizations across the region to manage the visual details that bring their events from special to sublime. Drawing on her childhood experiences assisting her mother with painting, gardening, and decorating projects, Elena developed her keen eye for detail and instinct for creating perfect spaces. Watching her mother bring their gardens to life, bursting with beautiful flowers and greenery ignited a passion for creativity and the exquisite. Channeling these passions, Lavish Events by Design was born. 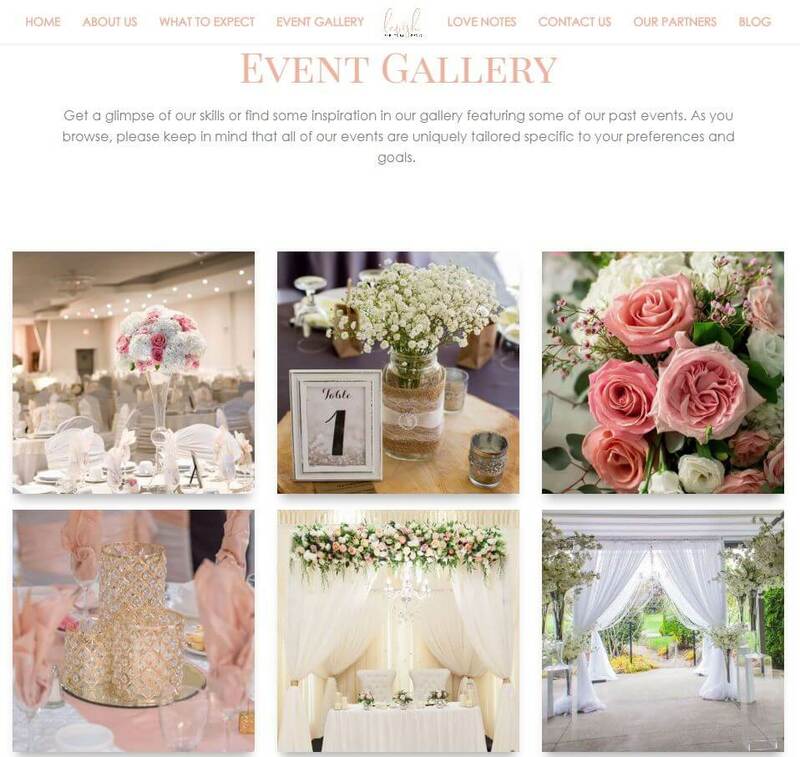 With the goal of increasing their digital presence, we were tasked with creating a new website to showcase Lavish Events by Design services and their previous work. 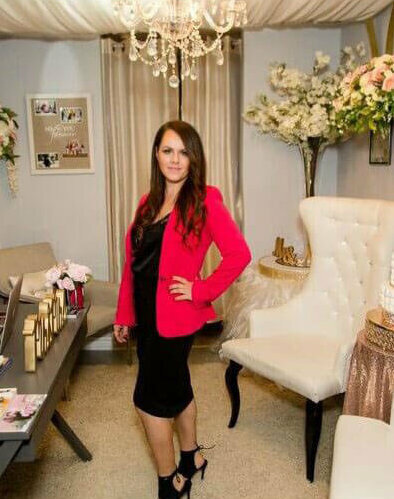 When we first met with Elena, her passion and commitment to her client’s happiness was evident. She treats her clients as you would a dear a friend- with the highest regard for their happiness and the ambition and relentless drive to help make their dreams come true. Using this as a foundation, we began our site work with the goal of translating this unique quality digitally. Recently launched, the new Lavish Events by Design site features elegant styling enhanced by their portfolio of stunning events photographs. Learn about the company and team while taking inspiration from the site’s gallery, showcasing their events and the florals and details that truly make the event. Curious about what their clients have to say? Head over to their Love Letters page, which is an ever-growing collection of client testimonials, integrated directly onsite. For more detailed descriptions of past events as well as for industry tips and tricks, be sure to head to their blog page. If you have questions, Lavish Events by Designs invites you to contact them directly onsite. If you’re ready to begin the professional event decor process, scheduling a consultation is just a click away. Offering their clients transparency and efficiency online reflects their methodology offline, with the results speaking for themselves. If you have an upcoming event or are celebrating a milestone, be sure to check out this incredible local company. Elena and her team are ready to begin designing the event of your dream, helping to create those magical memories that last a lifetime.